Introv are proud partners of Tableau, a software solutions company that specialises in BI data visualisation. 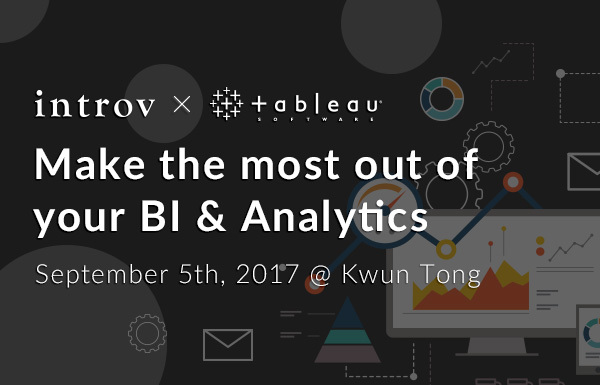 You’re invited to attend our workshop, where you can learn how to empower yourself by understanding your data better with Tableau, a business intelligence tool designed to change how you see and interpret data. Join us on September 5th. Spaces are limited, so please reserve your spot today.